Be a part of a new experience of education events designed by Students and Teachers for Students and Teachers in Australia. Be inspired by engaging and forward thinking students, teachers and leaders in STEAM. WE CREATE SPARKS IN LEARNING FOR TEACHERS, STUDENTS AND EDUCATORS! An idea was sparked in 2006 when we started as a provider of professional learning for teachers and schools as Intuyu Consulting – Empowering 21st Century Learning. Through our conversations and work with hundreds of schools we could see that transformation comes from school collaboration, connecting learning communities, developing student confidence and self-expression through Students’ leading the learning at conferences. In 2017 the inaugural YOUTH ENTREPRENEURS AND STEAM AMBASSADORS CONFERENCE was held at Scotch College Melbourne with over 170 students and teachers from Victoria and Western Australia in attendance. 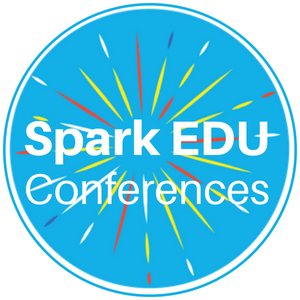 This conference has been the spark to create Spark Education Conferences as a place to fulfill on our mission of igniting innovative and empowering learning opportunities. 2018 saw the It Takes a Spark EDU Conference branch out across Australia – Brisbane, Melbourne and Perth hosted to over 710 teachers and students. An applied social psychologist who has a passion for education and improving the mental health of Australians. Co-founder and co-artistic director of the award winning independent theatre company Rorschach Beast. Engineer / Innovator, CEO MedCorp Technologies. Winner 2016 Telstra Victorian Business Women’s Entrepreneur Award. Biostatistician / Senior Research Fellow at Murdoch Children’s Research Institute, The Royal Children’s Hospital. Chief Operating Officer at Australian Centre for Robotic Vision, Superstar of STEM. "Many thanks for such a well organised and well run conference. From our perspective and the feedback from others, it was a resounding success."